The World Trade Centre in Miami, Florida, has decried the declining trend of non-oil imports from sub-Saharan Africa to the U.S. under the African Growth Opportunity Act (AGOA). Arosanyin said that data obtained from the U.S. Department of Commerce showed that there had been consistent decline since 2011. According to her, the decreased by four per cent, two per cent, 10 per cent and seven per cent in 2012, 2013, 2014 and 2015, respectively, show that 38 African countries under AGOA are not making use of the Act. “It shows lack of clear strategy on implementation of AGOA among many of the African countries that are currently eligible under AGOA. “The excuses by most African countries have been that the U.S. should expand the list of eligible products allowed under the programme and simplify the processes and paperwork. “Other excuses are they want the U.S. to simplify the processes and paperwork and relax the strict rules on the country of import. “They also want the 35per cent threshold on value addition, broaden the act and apply significant changes, provide special assistance in the areas of standards, certification and buyer-seller linkages, among others. “The endless list of demand is untenable and making such numerous demands can only be likened to the children’s story – if you give a mouse a cookie, he would ask for a glass of milk,” she said. 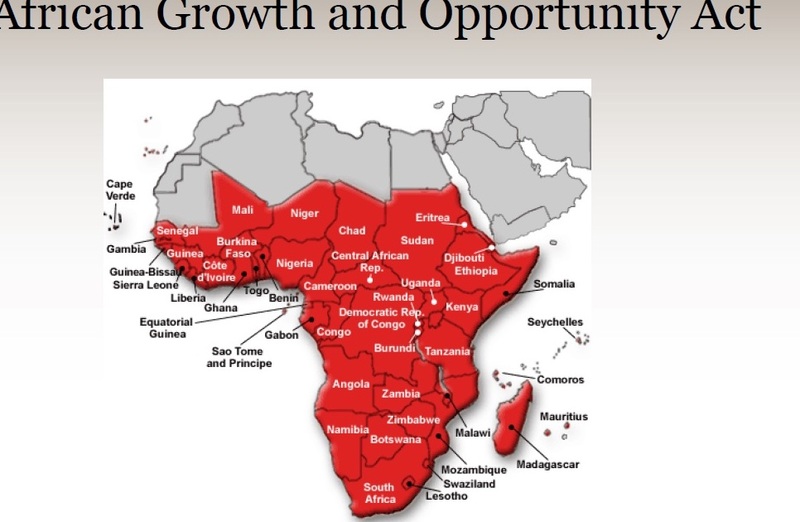 Arosanyin said that AGOA was meant to be a major paradigm shift in terms of boosting economic growth and diversifying African exports to the U.S., adding that unfortunately African countries were unprepared to take advantage of the opportunity. She said time was running out on the utilisation of AGOA because the validity period would end in about eight years from now. Arosanyin stressed the need for sufficient government support for small and medium sized enterprises (SMEs), funding of export promotion programmes, lack of visibility for goods originating from the continent and compliance issues.